Over the years, aspartame has been the center of much controversy, with some firmly convinced that consumption of aspartame in the diet is responsible for health conditions such as cancer and premature births. However, the European Food Safety Authority (EFSA) recently conducted a comprehensive risk assessment and found that consumption of aspartame at moderate levels is generally safe. 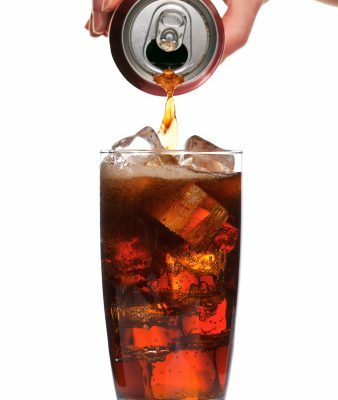 Water, we know, should be the go-to thirst-quencher, but those bubbly, calorie-free soda beverages can be so addictive. Aspartame is an artificial sweetener which is sold under the brand names NutraSweet® and Equal®. It is composed of phenylalanine and aspartic acid, which are amino acids. Amino acids are found in many foods and are the building blocks for proteins. Aspartame is about 200 times sweeter than sugar and is used in many low-calorie foods and diet soft drinks. Aspartame is used in these products because the same level of sweetness can be achieved with much less of the substance, so these food and drink products contain fewer calories. Making them, it would seem, the perfect match for the low-fat, low-calorie consumer looking to drop pounds or maintain the skinny. Artificial sweeteners, including aspartame, are regulated in the United States by the Food and Drug Administration (FDA) and by EFSA in the European Union. These regulatory bodies set an acceptable daily intake (ADI) for artificial sweeteners. Generally the ADI is set at an amount that is about 100 times less than the amount that may cause negative health effects, based on results from animal studies. Currently, the FDA has set the ADI for aspartame at 50 milligrams per kilogram (mg/kg) of body weight. The ESFA has set a slightly lower ADI for aspartame at 40 mg/kg. 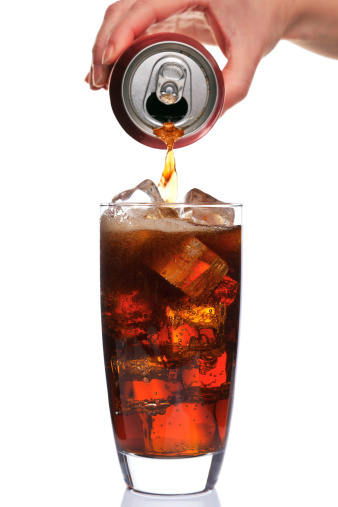 An aspartame-sweetened soft drink typically contains about 185 mg of aspartame per 12 fl. oz. serving. So an adult would need to consume more than 19 soft drinks or 100 packets of tabletop sweetener per day to exceed the safety zone. Various studies have tied artificial sweetener consumption in the diet with a number of health conditions, including heart disease, diabetes and certain types of cancer. However, no federal health agency identifies aspartame (or any other artificial sweetener) as a health hazard. In fact, both the National Cancer Institute (NCI) and the Centers for Disease Control and Prevention (CDC) do not accept any of the research that has found negative health effects determined by aspartame consumption in the diet. Food safety regulators in both the EU and the U.S. have cited data gaps and other concerns with research that has shown a link between aspartame and negative health effects. Members of the ESFA’s Panel on Food Additives and Nutrient Sources Added to Foods (ANS panel) reviewed all animal and human scientific research on aspartame in both published and unpublished sources for the risk assessment. Additionally, the researchers listened to the opinions of stakeholders and more than 200 comments from a public consultation. The ESFA found that consumption of aspartame in the diet, at the current ADI of 40 mg/kg had no effect on behavioral or cognitive functioning, the brain’s neurological development or on the central nervous system in children or adults. Additionally, the current study also ruled out the potential risk of aspartame causing damage to genes or causing cancer. Furthermore, it was found that aspartame poses no risk to a developing fetus. The findings from the current research suggest that consuming aspartame at levels within the recommended ADI poses no significant risks to healthy adults or children. Companies that use aspartame in their products, specifically Coca Cola®, will be breathing easy with the results of the risk assessment. The soft drink manufacturer launched an ad campaign this August addressing consumer fears over the negative health consequences of this food additive. The results from the current study provide the first step for strengthening consumer confidence in the use of artificial sweeteners, including aspartame, in the diet. Just don’t swap out water for soda. The empty calories and “zero” calories in the sugar-free options don’t send any “I’m full” signals to your body. Our body is composed mostly of water. We can survive without food for many days, but we need our water. It quenches our thirst and keeps our body systems running optimally. No fizzy drink can compare. Related Reading: Aspartame vs. Sugar – Is One Any Better?